↑ "Mahesh Babu's 40th Birthday Celebration: Samantha, Ram, Sushanth, Other T-Town Celebs Wish 'Srimanthudu' Star". 20 September 2015. ओरिजनल से 20 September 2015 के पुरालेखित. पहुँचतिथी 5 January 2018. 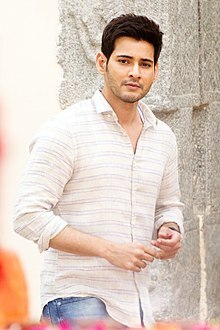 ↑ "IT raids on Mahesh Babu". Sify. 9 December 2011. ओरिजनल से 28 December 2014 के पुरालेखित. पहुँचतिथी 20 September 2015.